When the time comes to replace your sofa bed mattress, you may be confused as to the best size to buy. 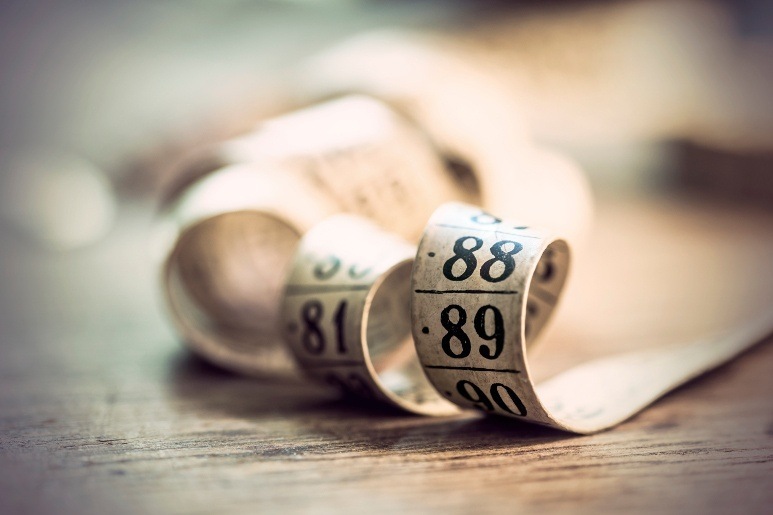 Take accurate measurements before you start shopping to ensure that you end up with the perfect mattress for your sofa bed. Measure the frame that supports the sofa mattress. Measure both the length and the width, using the inside measurements. 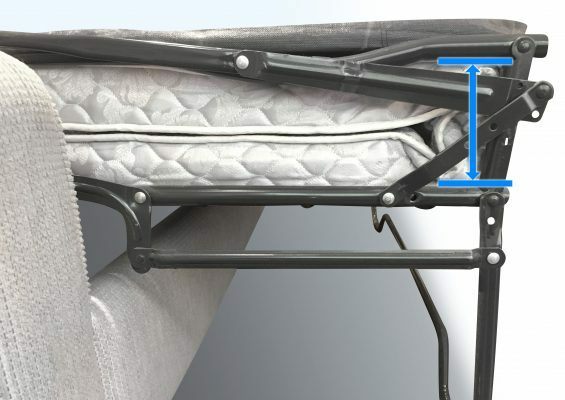 Once you have these measurements, round down to the nearest inch (for example, 72 3/4 inches is 72 inches, and 54 1/4 inches is 54 inches).To determine the right thickness of the replacement mattress, fold the sofa bed mechanism with your old mattress inside and measure the distance between the top bar and the bottom bar of the folded mechanism at the crease with your old mattress still inside. Divide the measurements by 2 and you will get the maximum thickness of your sofa bed replacement mattress. You will need approximately 10″ between the blue lines (see right) to accommodate a 5″ mattress. Once you know what size of mattress you need, you can narrow down your choices. In sofa bed replacement mattresses, thicker is not better. When folded, a thick mattress will be compressed too firmly into the sofa, and the folds will be permanently set into the mattress. Four inches is generally considered a good thickness for sofa bed replacement mattresses, however please note that you should stay away from innerspring sofa mattresses and memory foam sofa mattresses due to this thickness limitation. Read more on these issues in our Sofa Bed Mattress Buying Guide. Some people make the mistake of measuring the old mattress rather than the mattress frame when fitting a replacement mattress for their sofa bed. This is not the most accurate way to measure, as wear and tear on the old mattress will mean the measurements are not accurate, especially given the fact that in order to reduce the final cost of a sleeper sofa, sofa bed manufacturers provide a lower quality sofa bed mattress, which changes its shape and form rather quickly. Thus, measuring the inside frame, both length and width, will give you the best fitting mattress. A mattress that is too large will make folding the bed away a challenge, besides damaging the actual sleeper sofa mattress. On the other hand a couch mattress that is too small will shift around on the frame, making it uncomfortable. An improperly fitted mattress, whether too large or too small, will wear out sooner than a properly fitted one. If after trying out the newly purchased sleeper sofa mattress you feel that it is not soft enough, you can consider adding a mattress topper. You should plan on removing it and storing it separate from the bed, so it doesn’t develop permanent creases from the folds. When selecting a mattress topper, select one with measurements closest to that of your mattress, either slightly larger or smaller. Selecting the right size sofa bed mattress, made of comfortable materials, makes it much easier to get a good night’s sleep on your sleeper sofa. Whether the mattress gets regular use, or is used only a few times a year, you owe it to yourself and your guests to make it as comfortable as possible. Not just yet Jamie, but we’re working on it 🙂 Thanks for your comment.